Drs. 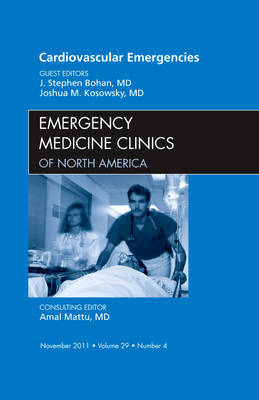 Stephen Bohan and Josh Kosowsky have assembled a panel of expert authors for this edition on Cardivascular Emergencies. Topics include: Ischemia, Heart Failure, Congenital Heart Disease, Supreventricular Dysrhythmias, Atrial Fibrillation, Uncommon Dysrhythmias, Electrophysiology, Pericardial Disease, and Cardiac Arrest.